Fantastic action in our region will remain excellent throughout the month of May. The usual action would include snook but for the ninth straight year, I will not be offering them as an option for my charters. Having a few more snook around is not evidence of a recovery. The likelihood of dolphin eating a released snook makes it better to avoid the species altogether. Stupidity of this state? They were just open. After what happened to them in January the species open to harvest shows how little respect the people who manage our species have for the resources that belong to all of us. The history of flounder. The major Red Tide in 2005 and ’06 crushed this species. Slower to recover than the speckled trout, the past two years have been good but to start out April, more big flounder have been caught in the past three weeks than we caught in basically all of 2012. The 12 Fathom 3-inch Mullet, SlamR and Buzz Tail Shad are tremendous baits for flounder (which are discussed more in the other reports listed below). 2017 was not a great year to catch them. Will 2018 have a lot more of them here? It is still early. Odd how some years they arrive in March. Other years June. It would be nice to have them come in big numbers. An underutilized species, my clients like a flounder dinner. 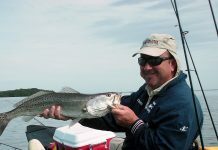 Trout and redfish will also be the mainstay targets of May. The Captain Mel Classic, May 12, these two species are the target. Also coming up: Toss in some pompano fishing late morning and we have the recipe for some great fun in the month of May! The number of pompano caught on the flats is also evidence, as it is with the flounder, that it should be an exceptional year for pomps. My main tackle for this species is the Silly Willy (yellow) with a teaser (pink) for pompano. increase along the beaches and they will be around dock lights at night. Get out on the flats earlier or later in the day. Winds tend to pick up mid-afternoon and then die down later in the day. Snook will begin to show more and more north of the Ft. Pierce area. Plentiful amounts of redfish, trout, and sheepshead will be found on the grass flats laying in wait inside and around sand holes and drop offs in all the Lagoon system. In 1 – 2 feet of water you will find slot reds and above slot trout. 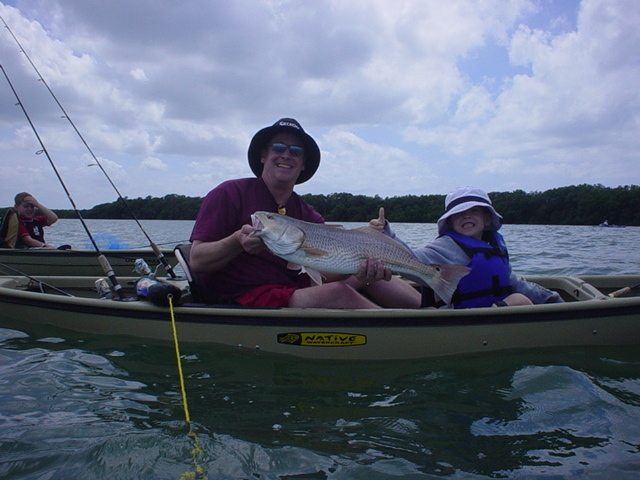 Look for bull reds in deeper waters, 4 – 5 feet, along with black drum and trout. Concentrate on points, bends, and small coves and areas that have culverts. Look for bait pods getting crushed. These predators will be much more active now and will be snatching up any morsel coming near. The topwater action will be fantastic. My favorite, the walk the dog action cannot be resisted. Use subsurface soft plastics as the sun gets higher and the topwater action slows. Flounder has not been as abundant as last year but can be found on sandy or muddy ledges or bottoms that are near eddies that contain easily accessible bait and at drop offs. In the Big Bend of Florida’s Panhandle, Robert Baker at TnT Hideaway on the Wakulla River: http://www.tnthideaway.com/ . If you are going to be in Panama City, stop in and see Brad and his staff at Sunjammers: http://sunjammers.com/ . Winter over, we are into the peak time for good fishing around the Panhandle. We have a little bit of everything. We have offshore as well as inshore. Our water deep enough to paddle to some reef species, it is an option. Redfish and trout should be great this month. In Northeast Florida: May is a very good month for fishing the NE corner of the state of Florida. Before the real heat of summer the fish are happy. The opportunity to have great catches is pretty good. Lures: Redfish and trout. Bait: Sheepshead are still a good target. We might have some pompano and king mackerel in the mix. Things are great in South Florida. The weather. The species to target. It is all great for opportunities for the kayak angler. We have snook and other inshore species. We have the offshore targets for those with the right equipment and knowledge. Too many people are taking risks that they are not ready for. To get out into the deep water and fight offshore species, you should have a safety plan in place. Wearing a life vest is simply not enough. Can you successfully achieve a deep water re-entry? Do you have your gear secured so you do not lose everything when you flip over? Do you know how to handle an angry fish in a tiny boat? For those who have the right skills, this is a thrilling way to try out some extreme fishing. Our kayak anglers get some exercise, catch some amazing fish and have some great stories to tell. But this kind of fishing is not for the beginner. The heat of summer is back, like it or not. For so many months, we could get away with being less prepared with extra drinks and tricks to stay cool. Bring way more water than you expect to use and drink it regularly. In winter, you wear water repelling clothing to stay dry for a very good reason: To stay warm. With the heat of summer arriving, there is a very big trick to avoid overheating. “Stay wet, stay cool.” At the beginning of a day, before the sun is even up, I get in the water to get my pants and the bottom of my shirt soaking wet. This is air-conditioning on the water: The damp clothing will make it feel much cooler than if you are dry. If you do this, you may feel a lot better at the end of the day and possibly not have to drink quite as much water.